PENSACOLA, Fla. — An imprisoned creation science evangelist and Baptist minister who refuted evolutionary theory and who has served eight years of a ten-year prison sentence is now fighting a new charge that would put him behind bars for life. Kent Hovind, the founder of Creation Science Evangelism out of Pensacola, Florida, has been incarcerated since 2007 over 58 federal counts that largely center on alleged tax evasion. Hovind, who traveled the nation presenting talks about science and the Bible, had considered his ministry to be a church and considered himself to be a minister. Churches are not required to file taxes and are automatically exempt under the law. But an official with Pensacola Christian College reported Hovind to the IRS, which concluded that those at Creation Science Evangelism did not technically consider the ministry to be their church. The government likewise did not believe Hovind when he said that those who served with him were missionaries but not employees. Hovind also stated that he did not receive any personal compensation from the ministry. 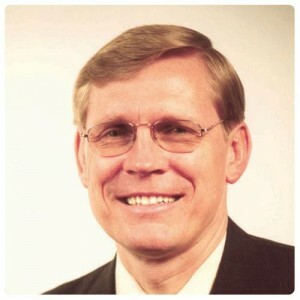 The IRS subsequently ordered Hovind to pay taxes as it would not permit Creation Science Evangelism to be classified as a church, and since it was not registered as a non-profit organization with the government entity. In 2004, Hovind’s home was raided by IRS agents, and tax liens were placed against his property in the amount of $504,957.24. He filed three separate lawsuits against the government in an attempt to stop the proceedings, which he viewed as harassment, but was unsuccessful. Public opinion about the matter has been mixed, as some state that Hovind was wrongfully imprisoned or that his punishment was too severe. An online effort simply known as “Free Kent Hovind” exists to help seek the release of the evolutionary foe. But those behind the effort are once again stepping up their call to support Hovind as he is now being accused of mail fraud for using the prison mail system to contest the lien that was placed on his personal property. If convicted, reports state that he could face an additional 20-100 years behind bars, thus equating to a life sentence for Hovind. His trial has been set from Feb. 9 through March 2 before Judge Margaret Casey Rodgers, who presided over his original trial in 2006. Wiley Drake, pastor of the First Southern Baptist Church in Buena Park, Calif., has also organized an event called “Boots on the Ground for Kent Hovind” from Feb. 5-10 at the Red Roof Inn in Pensacola, Fla. The event is said to involve a prayer rally and march in support of Hovind.